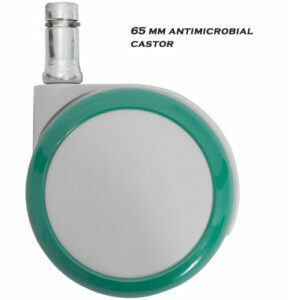 65mm Soft Soft standard caster for hard floors. 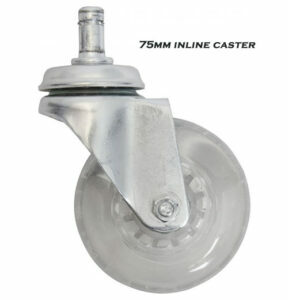 65mm Hard Hard standard caster for soft floors, wall to wall carpet. 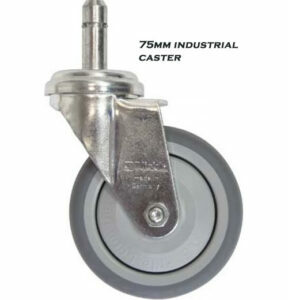 75mm Soft Big soft casters for uneven floors and thick carpets. 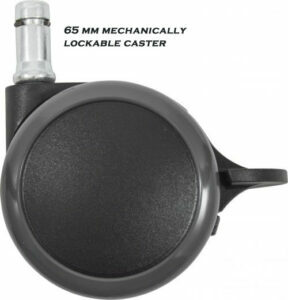 50mm Soft Soft caster which locks when unloaded. Rolls when a person is seated, locks when no one is sitting. 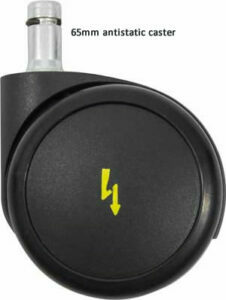 65mm Soft Soft, manually locking caster. 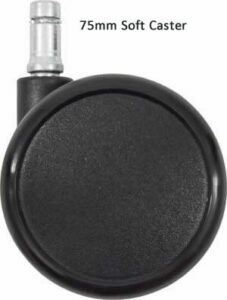 75mm Soft Solid rubber industrial – inline, for uneven floors. 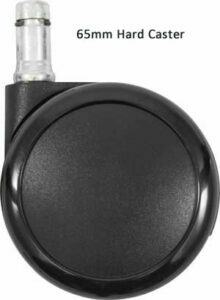 75mm Soft Solid rubber inline, for uneven floors. Light gray only. 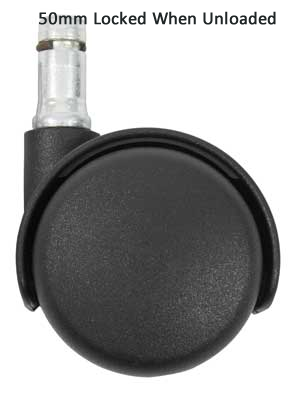 Uses ball-bearings. 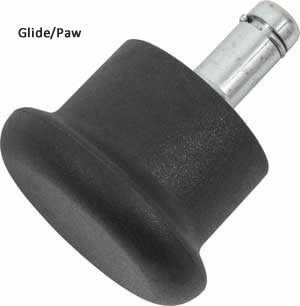 Glide/”Paw” For static work and for chairs with Foot Support Ring. will not wear off or wash away, because the antimicrobial additive is incorporated into the caster tire and pedal at the time of manufacture.